Posted On December 02, 2013 by Team iCynosure. A blush .... looks lovely on every girl. I meant the shy beautiful smile. Even the beauty product 'the blush' looks absolutely great. I honestly use blushes very sporadically even though I love the glow it gives my face, as I never like the dry powder like crispness of the cake blushes. Only when the occasion demands, I use blushes, sometimes cheating with my favourite shade of lipstick to add colour to the pale look. All of this changed as soon as I chanced upon the new cream blushes from Oriflame, that a friend said is the most 'it beauty product' now. Surprisingly not any other major beauty brands boast of such a great product. 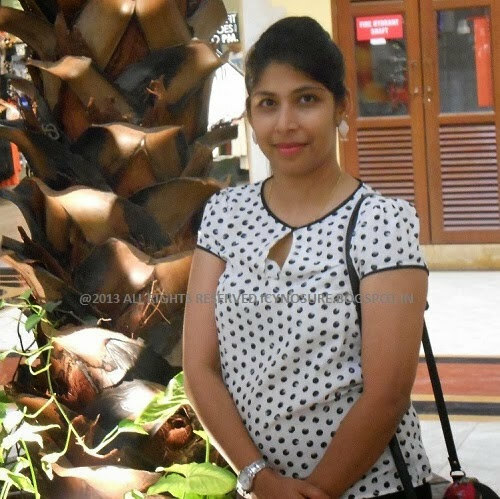 Here's a quick review of my new beauty possession - Oriflame Studio Artist Cream Blush, the new miracle product for me. 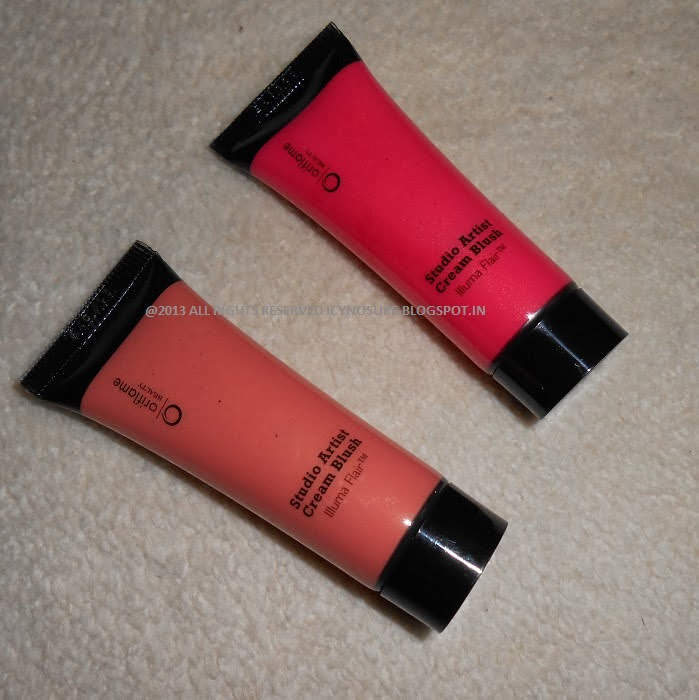 What is Oriflame Studio Artist Cream Blush? How does it feel? The product is a one of a kind cream-based blush available in the Indian beauty scene. A cream textured blush that blends beautifully feels watery, however, remains non-oily/non-greasy making it light and glowing. Ingredients include aqua, propylene glycol, paraffinum liquidum, talc, cetyl alcohol, imidazolidinyl urea, methylparaben, propylparaben, silica, parfum, tin oxide, etc. The available shades are Pink Glow, Sheer Berry and Soft Peach. The cream blush is provided in a super cute transparent tube, packed in a classy black box. It is priced at INR 549 for 20g. Here I have used the Soft Peach, the picture has been taken almost after an hour and a half. I've used both the cream blush shades twice, alternating with a bare base and a foundation base. The blush lasts for about 3 hours on bare skin and much longer on the foundation, fading eventually. I loved the fact that it doesn't dry the skin nor is it oily or greasy, just perfectly in-between. My personal favourite is the Pink Glow as it complements my skin tone and brings out the greyish-brown in my eyes. The Soft Peach is gorgeously light and a like a dream. To know more about the Oriflame Range of products and to join their Facebook page click here. Have you tried the Oriflame Studio Artist Cream Blush as yet? Leave me your comments.